Minister for Road Safety Jennifer Rankine is urging families to think about their loved ones before getting behind the wheel this Easter. “Think long and hard about how your family could be ripped apart by a fatal mistake on the roads,” Ms Rankine said. Last Easter there was one fatality on South Australian roads and 13 serious injuries. “One life lost is one too many. As a mother and grandmother, words could not describe the grief I would feel if I lost a family member to road trauma,” she said. SAPOL will be using all its available resources over Easter as part of Operation Crossroads. Police will use a range of tactics including a highly visible presence, speed detection, static and mobile random driver testing. A six-year program to upgrade safety on the Dukes Highway forms part of the $80 million Australian Government commitment to improving road safety. Wide centreline treatment is now operational from 5 March 2012. Wide centrelines are two parallel painted centrelines which will separate oncoming traffic by 1.2 metres. They look wider than normal centrelines and will have a raised audio tactile surface which generates a vibration and rumbling sound if driven over. Audio tactile line marking will be installed from April and will alert drivers if they are drifting towards the wrong side of the road. 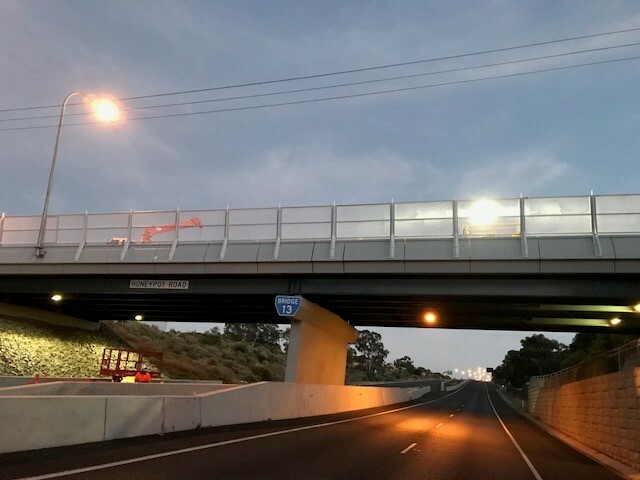 Six level crossings in regional South Australia will be upgraded as part of the State Government’s $2.3 million State Level Crossing Improvement Program. Investigations by the Australian Transport Safety Bureau have found that in almost every level crossing crash, the motorist failed to give way to a train and there was very little the train driver could do. Stop signs will be replaced with flashing lights, bells and boomgates at four crossings at Coonamia (Wauchopes Road), Huddleston (Huddleston Road), Tailem Bend (Travena Road) and Bordertown (Tatiara Road). To further strengthen the message of rail level crossing safety, drivers who speed through level crossings, whilst committing a level crossing offence will receive dual penalties. Speeding and level crossing offences arising from the same incident will attract penalties and demerits for both offences. A Draft Road Management Plan for Port Augusta has been prepared examining operational and safety issues on the existing arterial road network. The plan will be provided to Port Augusta City Council for consideration and discussion with DPTI, prior to being released publicly for community input. The Draft will be available for public comment via the Port Augusta City Council office and the DPTI website. Further advice will be released when these dates are finalised. South Australia came alive in March with many people stepping out to enjoy the festivities. SA Police had a highly visible presence throughout the month with “Operation Safe Pedestrians” to keep people safe, including targeting pedestrians who are both intoxicated and distracted from potential dangers on the roads. The Motor Accident Commission (MAC) has re-launched its regional road safety campaign aimed at reducing fatalities and serious injuries on the State’s country roads. The success of the campaign will depend largely on the willingness of community members to support the attitude changes that are needed, and to accept their share of responsibility in improving roads safety. To help reverse road trauma in regional South Australia MAC’s public education campaign involves regional television, radio, newspaper, outdoor, cinema and on-line advertising..
Local SANFL players will ditch their football boots as they attend the Motor Accident Commission’s road safety education sessions. MAC will deliver a road safety educational program designed to encourage behavioural change in young men involved in the SANFL. Footballers have an important role to play in our community with so many young kids looking up to them. At the end of the day we want to be reading about the positive stories to come out of football, not of horrifying road crashes. Unfortunately, young men are one of the most at risk groups when it comes to road crashes. A mixture of bad decision making and over confidence behind the wheel often results in tragedy. The Compulsory Third Party insurance component on the average motor vehicle registration could fall and South Australians would not have to prove fault to be compensated for injuries arising from a motor vehicle crash under reforms being considered to South Australia's CTP Insurance Scheme. Releasing a Green Paper for public comment, Treasurer Jack Snelling said a reformed scheme could deliver improved fairness and ease some of the burden on South Australian motorists and taxpayers. The public have until April 27 to provide their comments on the proposed reforms and The Green Paper can be found by visiting www.treasury.sa.gov.au/CTPgreenpaper.